Last week I wrote about the “why” of paraphrasing. Today, I explain how to paraphrase…. Are you a university student, writing a thesis or essay? If so, refer to part 1. 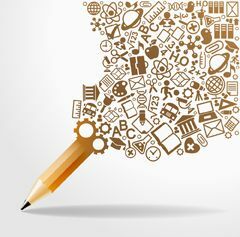 Are you a corporate communicator or freelance writer? If so, read to part 2. 1) Take detailed notes while you research. If you’re old-fashioned, you might like to use index cards. If you’re new-school, you may simply capture the data using a piece of software like Evernote. But don’t just capture links. Instead, take notes about what you’ve read. Warning: Don’t just transcribe. Instead, jot down the main ideas, facts and opinions. 2) Put the original away and look at your own notes. Then, relying on those notes, as well as your memory of what the original quote said, rephrase. Don’t just switch a few words around; try to construct an entirely different sentence. For example, you might want to begin with a dependent clause, if the original doesn’t. 3) If the idea belongs to someone else, even if you’ve rewritten it, be sure to cite it (create a footnote). 4) Compare the original quote with what you’ve written. Is your paraphrase accurate? (You shouldn’t have changed the original meaning.) Are the words you use different enough from the original so that you can’t be accused of plagiarizing? If you can answer yes to both those questions, you’re done. Is its “voice” distinctive from your own? If you answer no to any of these questions, then paraphrase. 3) The easiest way to paraphrase is simply to remove the quote marks. For example: “I think she [Barbra Streisand] is just amazing,” Lea Michele says would be better as: Lea Michele says she finds Barbra Streisand to be an amazing performer. Or, go one step further and change one or two of the words: Lea Michele says she finds Barbra Streisand to be a remarkable performer. Do you see how much better that sounds? 4) Spend less time thinking about what your boss/client wants to say, and what your subjects have told you, and more time on what your reader needs to know. Focus on the story — or the main idea — you’re trying to tell rather than the interview. For a 500-word article you shouldn’t need more than one to two sentences of quotes. 5) Never feel obliged to use quotes from people you’ve interviewed. I know, it’s tempting to worry about having wasted their time. Don’t. It’s part of their job to speak to you. Including great swathes of boring quotes will not allow you to accomplish your job of attracting readers. Anything involving numbers, especially dates and money. Instead of worrying about plagiarism, your bigger concern will be how to get sign-off from the people you are interviewing/quoting. I’ll address that issue next week. How do you approach paraphrasing? We can all help each other so please share your thoughts with my readers and me. If you comment on my blog by May 31, 2014 I’ll put your name in a draw for a copy of the delightful non-fiction book Stumbling on Happiness by Daniel Gilbert. If you don’t see the comments box, click ##here and then scroll to the end.